The autumn in 2007. It was unforgettable year for me to make up a big collaborative event "Trave Art festival 2007 in Kamakura" with my darling German artists. One of the German participants Kerstin Kempe was a potter who created her pottery-work based on Japanese Rakuyaki technic. 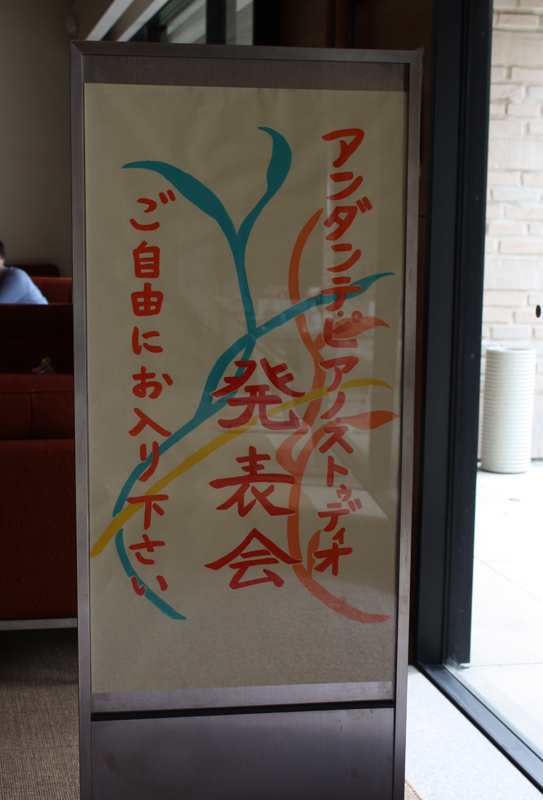 She and three Japanese calligraphers and I made up a group exhibition together during the festival. At the end of the fes, she gave me some pieces of her lovely potteries. I still keep them as my cherishable treasure. It was one year later that we got a tragic news. Kerstin passed away by cancer. This news dejected us so deeply, indeed. At the end of last December, I got an e-mail message from a German friend after long interval.. It said "Kerstin's daughter Marie,who is travelling through Japan, working and wondering. She is on her way to Kamakura to taste the air, her mother breezed. She asked, if we could arrange a place to go, maybe a place to sleep, and who, do you think, we thought about? Right, you, whom else? Do you agree that we give her your adress? She is really lovly." Oh, oh, why not, Thomas! And lovely Marie Kempe and I could meet each other yesterday. Oh my goodness, she just looks like her mom! As if Kerstin comes back to us! 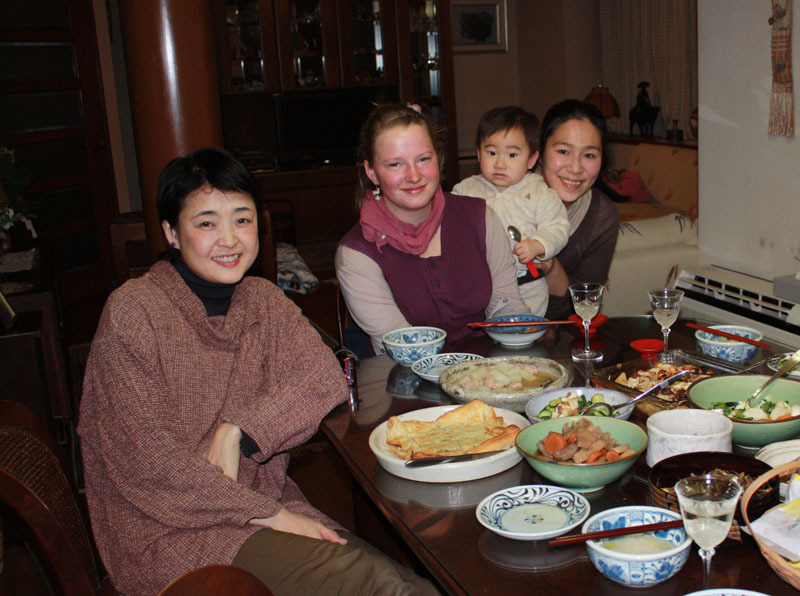 21-year-old young Marie is using the system of WWOOF, which is an international organization to arrange a sort of working holidays. She studies and gets experiences of working at some organic farms in west area in Japan. And she stopped by Kamakura on the way to next farm working. Lovely smile and soft speaking, just like her mom. At the same time we can see strong will and independency, just like her mom's art work. Good luck, Marie. See you really soon. 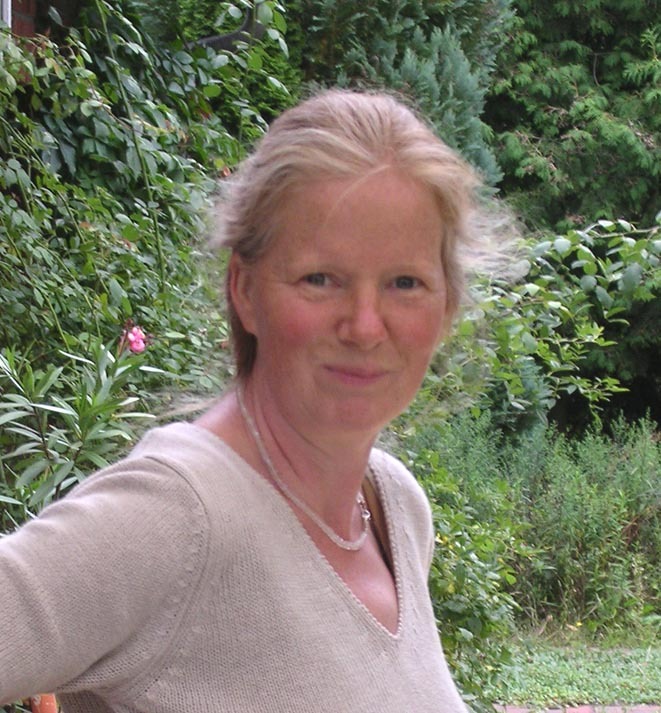 To the memory of Kerstin Kempe. It was sooo hot yesterday!... No? Oh, it was more than three months ago! Chinese old proverb says "Youthful years pass quickly before one accomplishes much learning", and "Live as if you were to die tomorrow. Learn as if you were to live forever."... by Mahatma Gandhi. But time goes too fast, indeed. I strongly feel I was supported by many good meetings and kindness this year at Khaju Art Space. When we see widely, we can't help saying that we underwent a very painful ordeal this year. it taught us we have to change our purpose, life style, or definition of happiness. I'd like to do something I can do for Tohoku people with my skill and to think over my own life next year. Always first of all, I'd like to make the time with one person in front of me "one and only". I believe everything begins with it. Thank you for your everything this year. I wish you welcome a happy and hopeful new year. Andante Piano Studio is one of the most popular classes at Khaju Art Space. Instructor Keiko is an original member of Khaju since 1997, opening year. 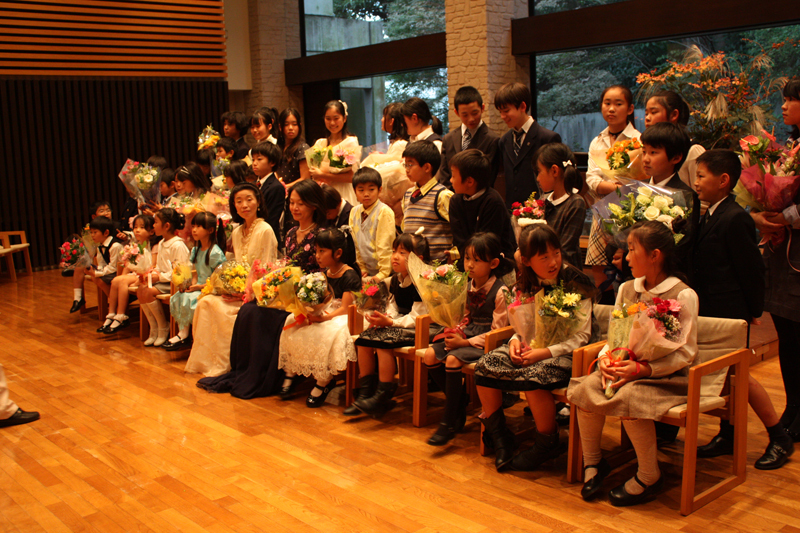 Keiko and her students hold class concert once two years. And today was their 7th concert day at Nikaido Gagusha. I'm always looking forward to this concert and enjoy to help with making the flower arrangement on the stage, and narration at backstage. However, as all the students inherit their teacher Keiko's quality, they perform best when they are on the spot! Unbelievable! For children, such kind of stage experience must be a great life treasure. They were so shiny, beaming with happiness! I love to see this. Keiko, Otsukaresama. It was another nice autumn day yesterday. 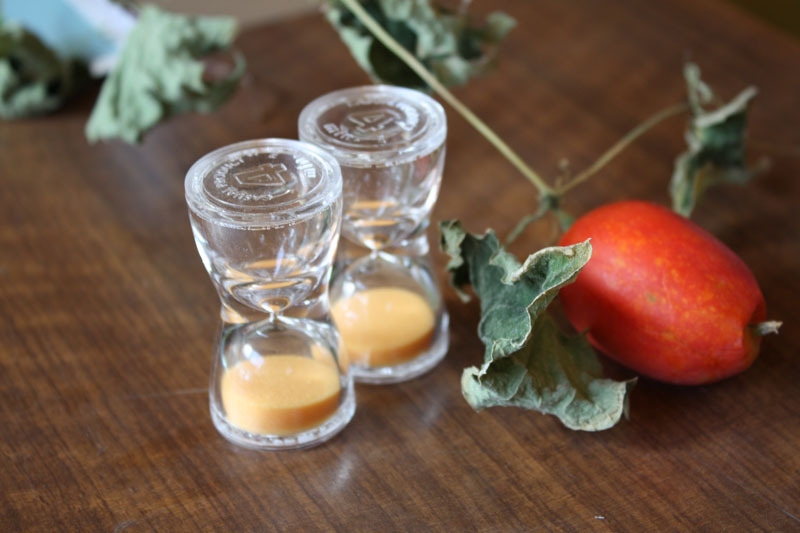 "The 1st Kamakura Tea Time" was held in warm and gentle breezing at Khaju. The organizer Mr. Yahara brought some different kinds of high qualified coffee beans from South American countries and served in a very professional way. One of the guests was from Nasu, Tochigi prefecture! Thank you so much! All the guests who belonged to different life-back ground were wrapped softly by coffee aroma and a sense of unity developed among us beyond any differences. When I get e-mails from Wester friends, I always wonder why they draw(write?) emoticons in 90-degree turned like this : -). It's inconvenient to see, isn't it? We Japanese usually draw emoticons and other letters at the same angle. And probably Japanese create the most unique emoticons. Do you have any particular emoticons in your area? 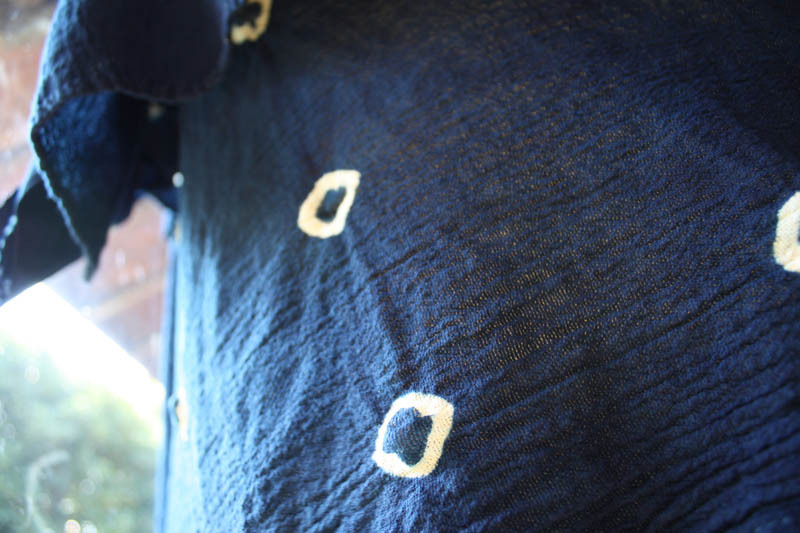 Summer is the season to dye blue color with indigo. Indigo plant is the one which we Japanese feel familiar, have been used as dye stuff since it was brought from China 1400 years ago. In the leaves of this plant are including much "Indican", blue component. Through many process with particular techniques,taking long time,Indigo liquid is laid finally for dyeing.But now we can get synthetic indican powders and make up indigo pots with it comparatively easily. I have two pots of synthetic indigo in back yard of my studio. As same as many other countries, we also have long history of natural dyeing. 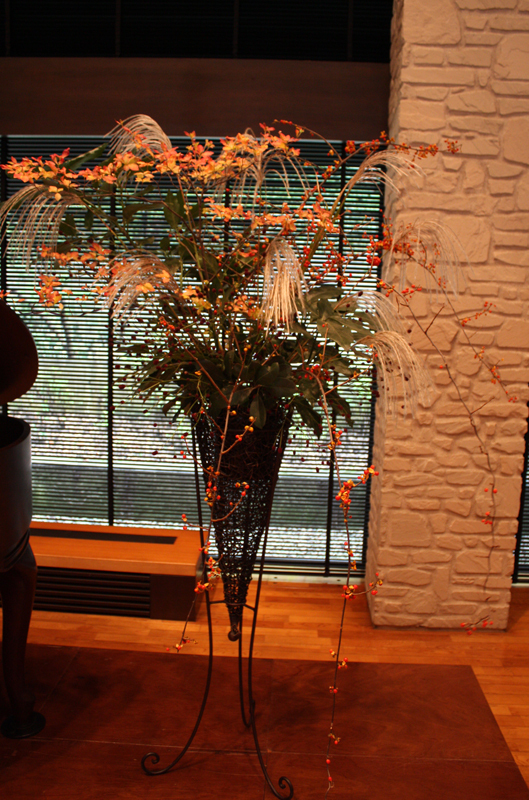 Humid and hot climate gives us various kinds of wild plants and many of them are good foods, medicine, and dye stuff. However it is not known that most of natural dye stuff only can dye animal fibers like silk or wool. 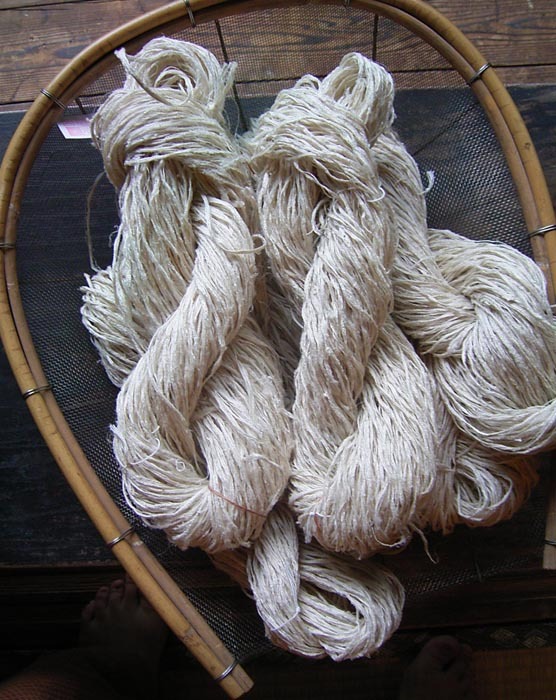 Linen, hemp or cotton is quite difficult to be dyed with plants. 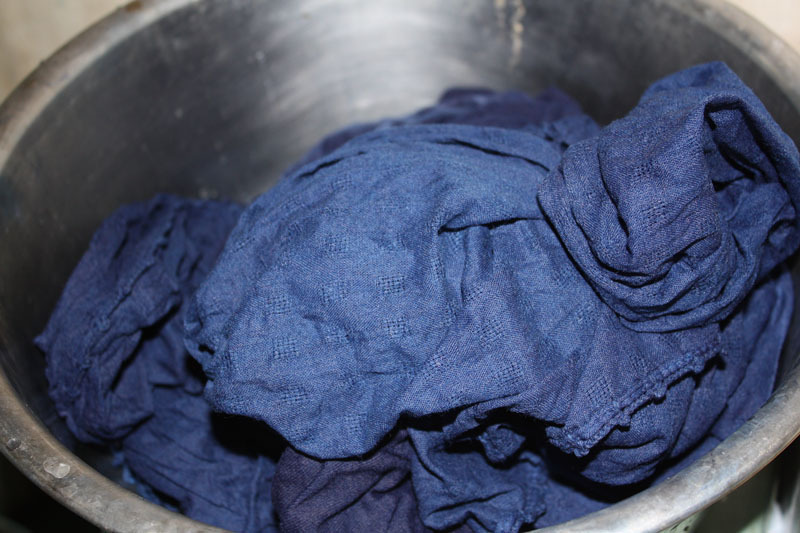 Indigo is one of the exceptional stuff which can dye vegetable fibers. So until before Meiji era, for the common people, who were allowed to wear only linen and cotton, indigo was the only color to wear. This limitation became the big motivation to develop complicated tie-dye, embroidery or kasuri weaving techniques in every village side. For us Japanese, Indigo blue have been important color to forget the summer heat and to purify mentally. In fact as we have to ferment indigo liquid, summer season makes the best condition to dye. The heathy fermented indigo liquid has many blue-violet bubbles on surface (we call it Hana=flowers)and liquid color is jade green. Every material,soaked into the liquid, get dyed green color first and the color is changing into blue in the air by oxidation. The old wooden box damaged by white ants which had been covered my indigo pots to keep humidity and heat couldn't work any more... But during this summer two friends of mine remade a new wooden box! It seems to work very well, it might another big factor of unbelievable beauty of this summer's indigo blue. Thank you, guys! 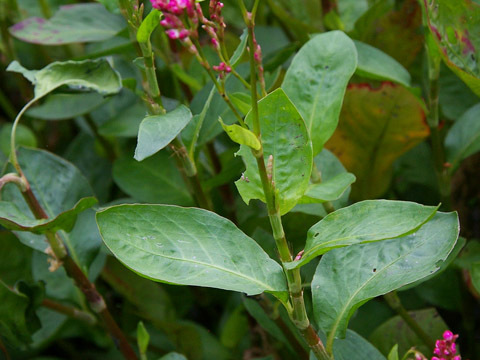 *The photo of indigo plant is from this site. I went to movie theater in Yokohama with my son yesterday. "Indiana Jones and the Kingdom of the Crystal Skull" ...oh, welcome back, Indy! When I saw the first one of this series "Indiana Jones and the Raiders of the Lost Ark", I was the same age as my son. That movie was full of adventure, dream, romance, and amazing imagination, in fact, worthy of kingship of Hollywood stuff. So yesterday I was so excited because I would be able to share my good memory in my childhood with my son although there is a big generation gap between us. And yes, my son came to like the latest Indy very much, of course. I'm so happy to see you again. You are still very attractive, giving a great hope to aged people and becoming my son's new hero . But at the same time I think you made a big mistake this time. And this mistake is unpleasant for us Japanese, Indy. Nobody can survive from such a terrible explosion of atomic bomb. You put yourself into an old refrigerator to avoid the bomb's effect, right? According to the knowledge from my school education, at the center of the explosion such a cheep refrige melts down in a few seconds. mushroom cloud just in front of you!! And you wash out "ash of death" with water and deck-brushes! As you know the Enola Gay threw drop an atomic bomb on Hiroshima city. And 3 days later another one was dropped on Nagasaki. 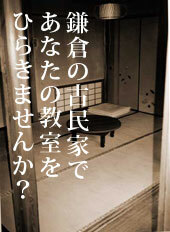 According to the research in 1991 by Hiroshima city, it is said that the numbers of victims by acute radioactive disorder is 140,000(＋−10,000) at the point in November 1945. During following 5 years, other 110.000 people died by the aftereffect. Other living victims have been keeping on suffering from long terrible physical aftereffect and miserable mental pain called "prejudice" until today. For more than 60 years. In my country, not only for the victims' generation but also for my generation who have war-experienced parents, atomic bombs are the one which we must not explode again even in books, on TV or in movies. The one which is absolutely untouchable. Indy, why did you make light of atomic weapons so stupidly although you are such a world-wide-famous hero? 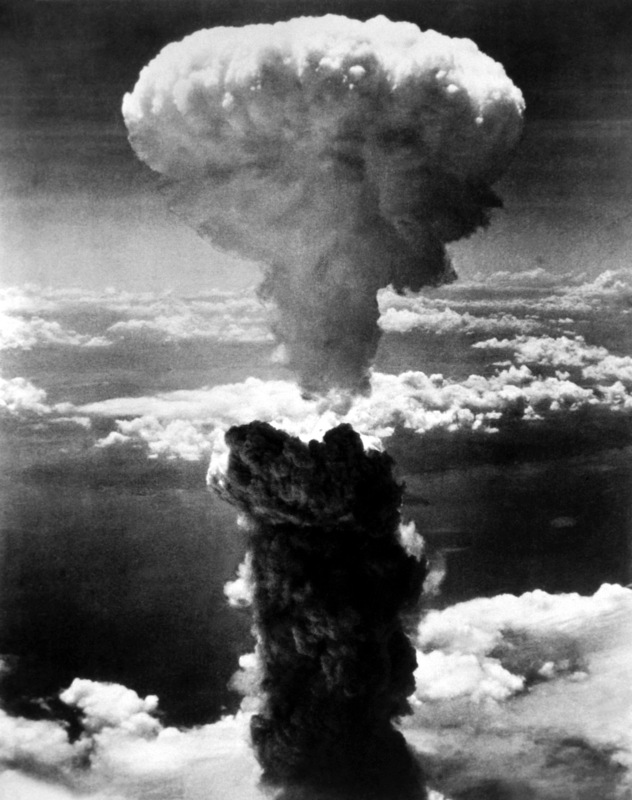 Don't you think many kids might get a wrong image about atomic bombs? Why atomic one. Are there no other ways to show your attraction without atomic bombs? You married Marion. Happy for you, Indy. But I know your marriage would become tough. Because you will have some different kinds of cancer at the same time very soon. Surgeries, painful endless chemical treatments, the burden of financial problem......... it might be hard for you and your family. As I used to live in Hokkaido island (north Japan) for several years in my childhood, I'm good at ice skating. As we learned skating in school gym class every winter time, all the local kids including me could skate well and enjoyed it although we sometime felt a little boring (no spins, no turns, no jumps...). Actually full-throttle-riding on a huge ice link was crazy exciting ! One day, my feet and legs got entangled when I was skating in full speed on ice. My body was suddenly thrown up to the air and fell down from head. At the moment my sight turned into darkness, and I faded out for a few seconds. Of course my mother took me to hospital immediately because I still felt sick, had ringing in my ears. As soon as I got the hospital, the doctor decided to take X-ray photograph of my skull. Somebody, have you ever seen your own skull? Maybe quite few. That was one of the most unbelievable, impressive and funniest photos that I've ever seen. As I felt so bad and very sulky, I clinched my teeth and I knitted my brows so tight. My face must have looked so painfull. However, in the photo, all the teeth were shown to the end of back ones very clearly, there were no skin gathers, of course........Yes, to my astonishment, my skull showed a big smile! At that moment, I could get a very philosophical answer although I felt sick. My skull was smiling even when I faced hardships. Is smilimg today, will be smiling tomorrow, too.....under my skin. 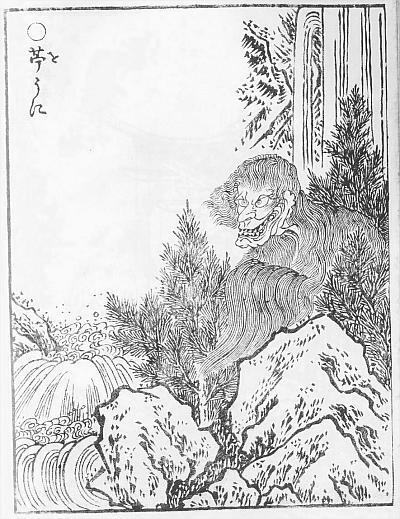 KUWA. Mulberry tree in English. We all Japanese have been feeling familiar with Mulberry. Because Mulberry leaves are only foods for silk worms and you could see many silk farming-farmers here and there in Japan until before the World War 2. In fact, you can see " Mulberry Mark"(the right photo) in any Japanese maps as a common. Although Japanese silk is well-known to all over the world with its high quality, Japanese silk farming is almost disappearing in these days because there are no successors. KUWA is dioecim. 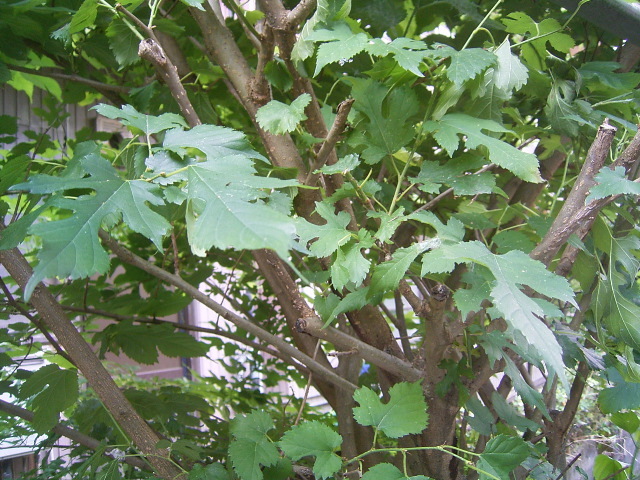 Male and female has different shape of leaves. I have a female KUWA tree in my garden and it has a lot of berries right now. Last year I dyed some silk scarves with the leaves of my KUWA in the same season. I could get very profound dark greenish grey with iron mordant. My color therapist friend said " This color has a special power to ease people's pain and to remind them importance of having time to make a conversation with themselves." Of course KUWA berries are good items for making jam or fruit liqueur. I and some students in my dyeing class will dye with KUWA leaves again tomorrow. We are going to try to get 2 colors from KUWA liquid with 2 different mordant : iron and aluminum. I will report the colors later.